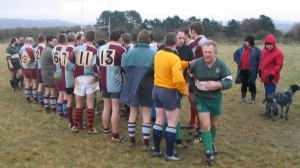 In this article we look back at the origins of the Annual Match v OPMs and the close relationship between the two clubs. 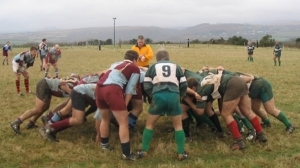 In the early part of the century Argaum were used to travelling on Boxing Day including visits to the likes of Exeter Reserves and Teignmouth. 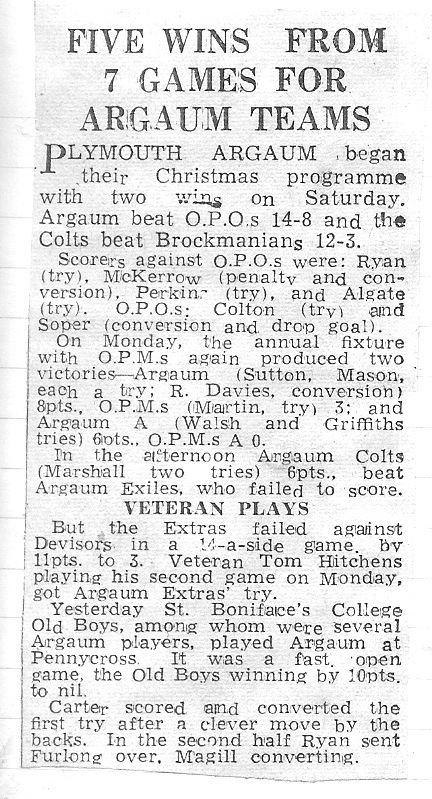 However, our story takes us back over 85 years to the season 1926-27, when seven Argaum players left the club to form the new OPMs side including one George Wakeham, later to become President of both Plymouth Albion and Devon RFU. From the archives was found this match programme from the 1960 Boxing Day Match against usual opponents OPMs but what is quite remarkable is that it was one of 4 matches taking place that day at Bickleigh Down. 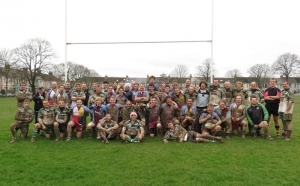 The Annual Boxing Day Match was once again a success in terms of attendance after a couple of dissapointing seasons.